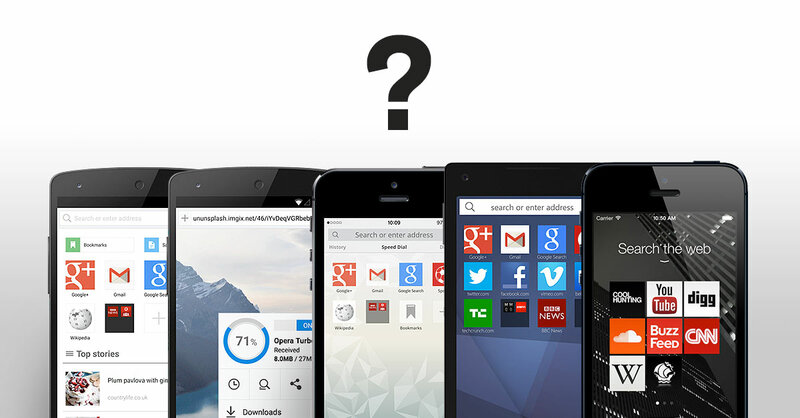 Let’s face it, you have several choices of smartphone mobile browsers, and choosing the best one for you may be tricky. Opera alone has five options. Our different mobile browsers have slightly different features to fit the type of device you’re using, but they all carry Opera’s compression technology. Compressing mobile data means you can get faster internet access even in bad network conditions. Also, when you save mobile data, it means you can also avoid any nasty shocks on your phone bill. You have an older or less powerful Android phone. 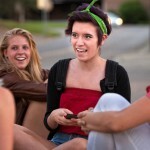 You often browse in slow mobile networks. Opera Mini has both high- and extreme-compression modes. You can switch between them depending on the network quality. If you download files on your phone, Opera Mini tells you when your files are finished downloading. You have one of the recent, more powerful models of Android phones. You watch a lot of videos. You want to save storage on your phone. You want to see pages as they would look on a desktop computer. Opera for Android is a full browser, which means you can see websites as they would look on a computer. But, of course, if your connection is bad, you can still turn on compression. 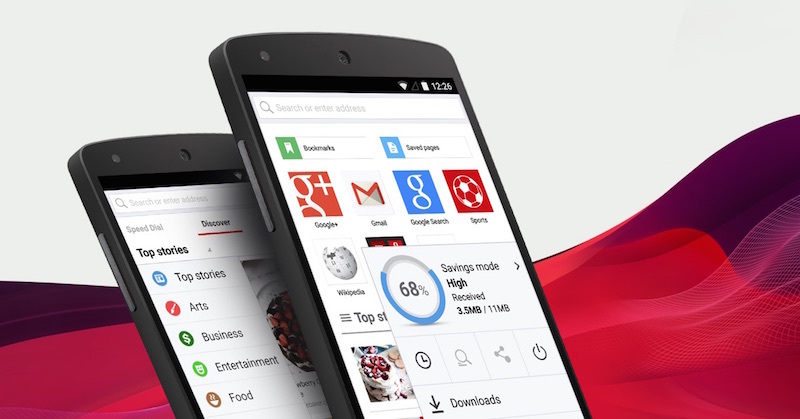 If you watch a lot of videos on the go, then Opera for Android is perfect for you. It has a video compression feature. This means you save on mobile data and get faster video in poor connections. One of the handy things this browser can also do, on top of the essentials, is delivering some relevant articles straight to your start page. Also, you can add icons for your favorite sites to your phone’s home screen – you get quick access even without having to install their apps. You want to use an alternative browser other than the default. You want to browse faster. 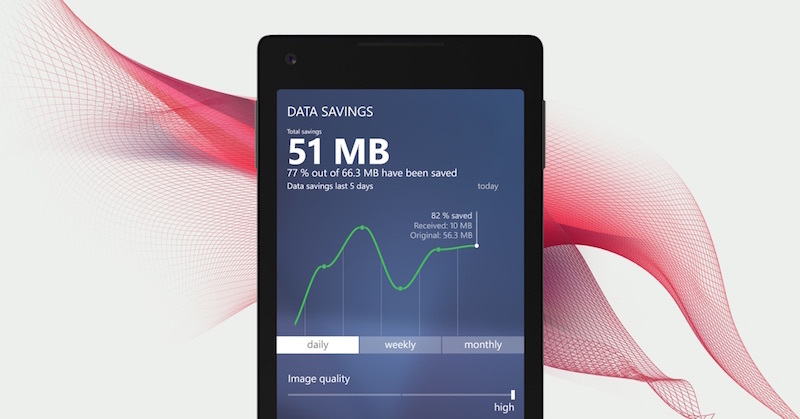 This browser gives you a daily, weekly and monthly view of data savings. So, you can easily see how much megabytes you spent. On top of that – private tabs, background themes and some additional keyboard features make it a great alternative to the default solution. Data savings is important for you. You like to personalize your device. Opera Mini for iOS is known for its efficient video optimization. If you watch a lot of videos and hate waiting for them to load, this is the way to go. 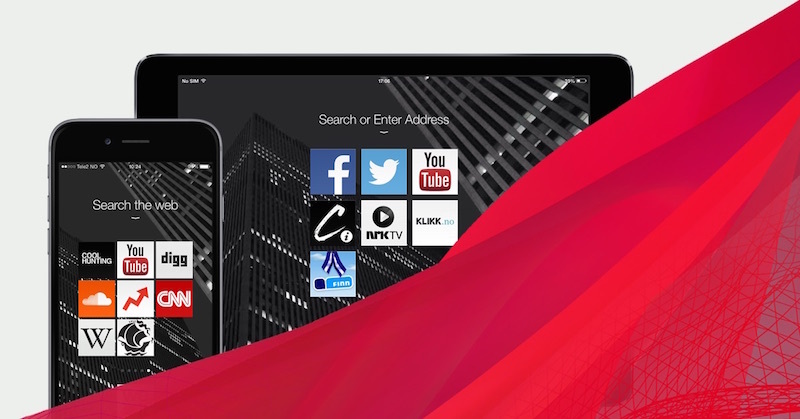 Along with other popular Opera features like tabs, bookmarks, Speed Dial and Discover, you can also personalize this mobile browser by changing the background image. You want an entirely different way to browse. You like discovering new content. Can you imagine a browser without any buttons? It exists – it’s called Opera Coast. The navigation is gesture based, leaving all the screen space to the websites. 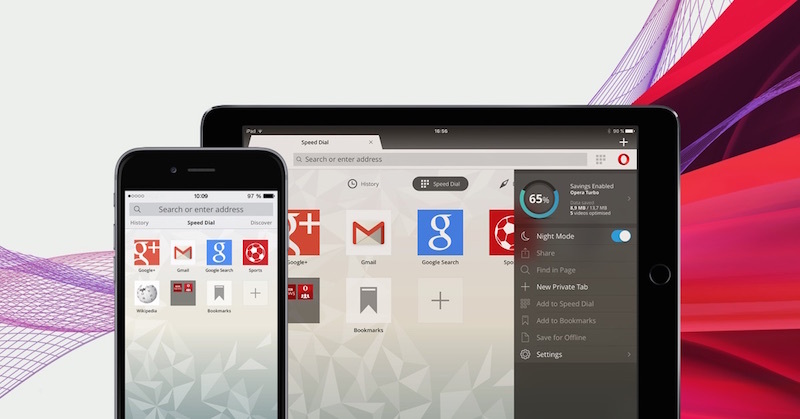 Check out these features that can help you make the most of Opera Coast. Which Opera is your browser of choice?